I'm looking for photopgraphers in the poconos. Anyone have any suggestions?! Also, might be a stupid questions but i'm having my wedding in nj..will the photograpers travel there?? What part of Jersey will your wedding be in? North or South? My wedding will be in the Poconos, but we booked a photographer out of the Philly area, so if it's closer to Philly I would recommend him. He's traveling nearly 2 hours for our wedding and not charging us a travel fee. I'd be happy to provide more information if you're interested. The photog we used for our wedding has a summer house in Northern Jersey so I don't think he charges a travel fee. His name is Craig Single with SingleExposure Photography from West Chester, PA. Let me know if you need more details. 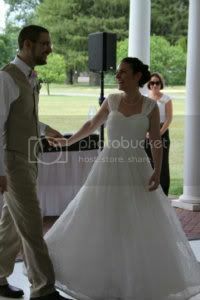 check out Alexis Stein Photography, they cover weddings all over the world. They are from NY so I am certain NJ would not be an issue. They are from the Lehigh Valley and they will travel. They have great prices as well! Delorenzo Photography (delorenzophoto.com) out of Bangor, PA is wonderful. She's a super pleasant photographer, and creative too! Definitely a good choice if you're looking for editorial style photographs. Her prices are reasonable and she is quick to get back to you! Good luck with your search! i think i really like her work! do u know how much her packages are?